This week we talk to husband and wife duo, Rob & Kristen Bell. 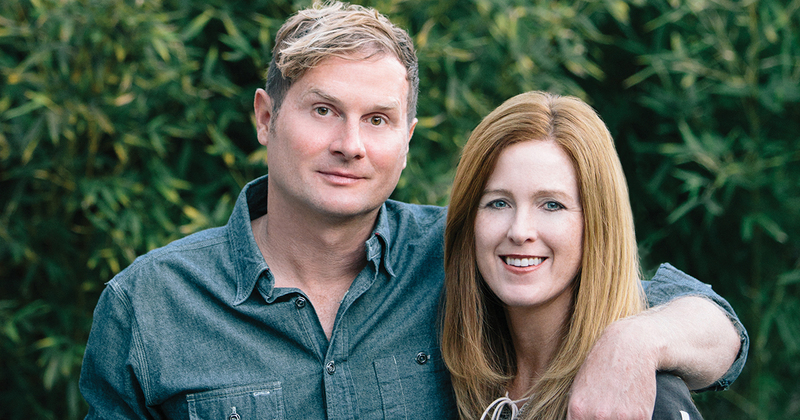 The popular (and sometimes controversial) author and his wife have written a new book on marriage called “The Zimzum of Love,” and they have a lot of good advice for our listeners. We also spotlight one of our favorite new indie bands, Colony House, catch you up on the week’s news and entertainment and meet an interesting new podcast character, Jesse’s neighbor. With snacks that you can feel good about, NatureBox is a subscription service that offers the ability to discover and enjoy delicious and nutritious snacks on a monthly basis. Dried fruits, whole wheat fig bars, all kinds of granola, savory or sweet, anything you want! Click the logo above to get a FREE sample box of some of their most loved snacks. Harry’s is a company focused on providing guys an exceptional shave for a fraction of the price. $15 gets you a set that includes a handle, 3 blades and shave cream shipped to your door. When you order, use the promo code “RELEVANT5” to save $5 off of your first purchase. What are the key attributes of living the #PSL (Pumpkin Spice Life)?